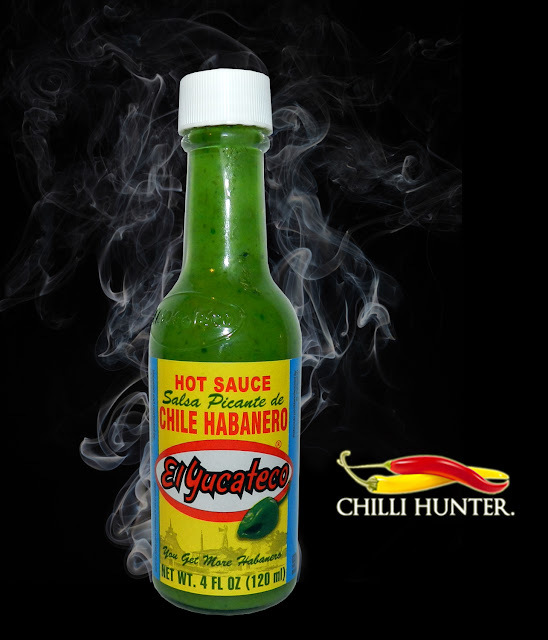 A bright green sauce with a good amount of heat coming from the habanero’s. There’s quite a strong saltiness, a mild vinegar taste backed up with onions. Also, its green. This sauce is green. I mean glow in the dark, bright, saturation turned right up, vibrate green. Its just not right. The colour is provided by FD&C Yellow No. 5 and FD&C Blue No. 1 synthetic dye’s. I wont be finishing this bottle, I don’t want to be peeing green.